I wasn't arguing that. I was just arguing that one shouldn't make the mistake of assuming the Combiner Wars cartoon and the Combiner Wars comic tell the same basic story, just in a different medium, because that's not even remotely accurate. So "should I read or watch it" is a question where the very premise of the question is based on faulty assumptions. I know, but if you want a story about the Combiner Wars toyline fighting, go for the comic story is my point. I watched the entire series yesterday. Medical kit is welcome. To be fair, never played it. At any rate, it looks bad on a character like Windblade who already has distinct facial markings as she is. That is the correct answer. Not a terrible game but I can't say I've kept it on the merits of the game rather than connections to better things. Can't say I'm a fan of the mouth lines either. "Hey kid, wanna see a dead body?" I didn't mind Peter being replaced with Ben Reilly back then, and I don't mind it now. That was one of the good things about the Clone Saga. Its problem, in retrospect, is how it was dragged out forever with loads of pointless side quests, multi-part "events" ("Maximum Clonage") that happened only because the marketing department requested them even though they didn't contribute anything to the story, Ben's debut as the all-new, all-different Spider-Man being delayed for the sake of another marketing-driven gimmick (renamed "Scarlet Spider" titles) that featured a terrible "virtual reality" storyline, multiple fake-out endings, stupid retcons, character derailments, reveals being undone and too many other things to name. For example, that stupid Judas Traveller character was presented as this ominous supernatural character with a mysterious agenda for the longest time, and then suddenly he was written out with the revelation that he was just some lame telepath, which made many of the stories featuring him utterly pointless. Simply put, the problem with the Clone Saga wasn't the concept, it was the execution. Badly written individual plots, too much executive meddling screwing up many a plot idea that had potential, and never following through with an idea because someone else came up with a new direction for the story. Linkara of Atop The Fourth Wall reviewed several stories from the Clone Saga (he keeps doing that every year for his show's anniversaries), and does a great job at pointing out the stories' flaws. I get the impression that Lewis doesn't hate Ben as a character either, he just hates how terribly most of the stories handle him, Peter and everyone else. The villains are stupid and bland, the plots make no sense, and everything could have been told much better using up much less space. And with better artwork. The Clone Saga is the perfect example of way too many cooks spoiling the broth. By the time the broth was finally going to be served, none of the cooks that had added the first ingredients were even working on it anymore. I'm not sure what we're talking about anymore, but had to point out that this exists for a reason! Although, in retrospect, I didn't mind the "bad art" or lengthy stories, and you have to admit that the way they stretched it all out is a testament to how successful the "horrible" Clone Saga was. But as you say, when you milk something to death, you're not getting gourmet milk anymore, are ye? (Thoughtless) negative comments about this mini-series are getting so old. Get over yourselves. Prime Wars is G1; if you want some excellent fiction and animation to go along with your collection, watch G1, including Headmasters, SG Masterforce, and Victory. I understand the dissatisfaction, but to log-on and open this thread just for another chance at exercising lame and unoriginal sarcasm about it is beginning to appear significantly more pathetic than the show. But it's so fun to b*tch! Especially when very FEW people will come out and argue with you about something universally disliked! It's a safe thing to complain about! And like I said before, you've got to understand the outright dishonesty Hasbro shows whenever they talk about how good the series is! If Hasbro can lie about the show over and over…. the fans cannot honestly lament or express disapproval over and over? That game had prominent mouth lines too. "Critically acclaimed", folks! REMEMBER! Hasbro won't stop saying it! At that age, I wasn't able to tell bad ficton from good fiction. Hell, I was totally into the Spider-Man Clone Saga at age 17. But come on… the Clone Saga wasn't THAT bad! It's biggest issue was the lack of a conceivable ending – the term "wrote yourself into a corner" fits the bill. Also, did Parker REALLY need to be replaced with Reilly? Why? SHOCK value? People hate that story line because it dared to re-write the entire Spidey mythos; I enjoyed that story line because it dared to re-write the entire Spidey mythos! I don't really get why people are saying it's better than RID15. 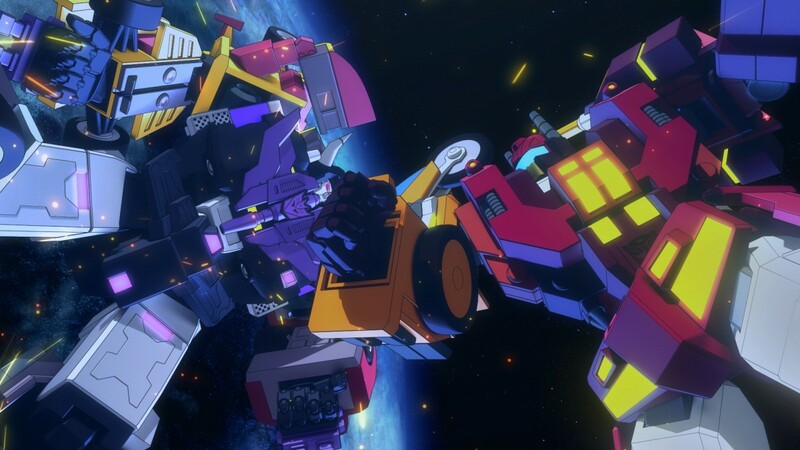 RID15 has better voice acting, better animation, structure, better humor, better villains, and the potential to bring in new fans and introduce them to Transformers, which Combiner Wars couldn't even do. I *think* my 12 year old liked it. All that mattered to me was that this was another opportunity for us to spend time together. Personally, I thought it kinda sucked. And I'd still rank it higher then current RiD. Isn't it the most sad thing that we mostly argue about which Hasbro offering is less terrible lately, while other fandoms just watch well made stuff (like the amazing Voltron show that you mentioned) or just casually, turn down crappy offerings in a unified voice? All that ever saved this for me was the comedy dub. TeamFourStar folks. The Simple answer to make Combiner Wars watchable more than ever.